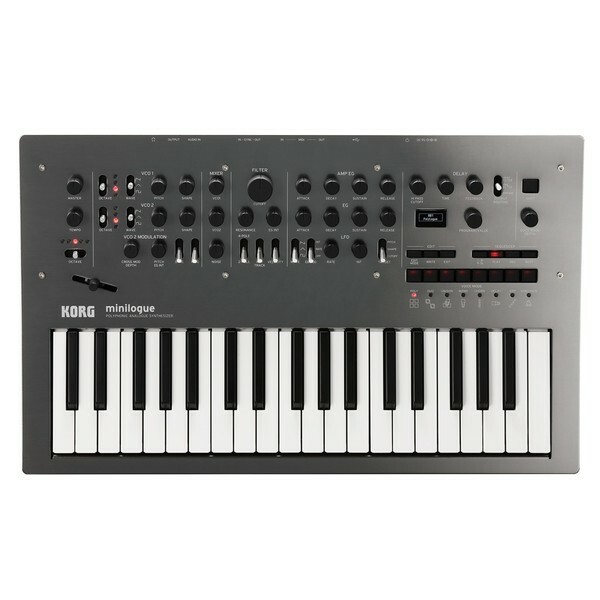 The Korg Minilogue PG Limited Edition is a unique limited version of the Korg Minilogue Polyphonic Analogue synthesizer. This limited edition version comes coated in a unique polished grey that reflects in various lighting, ranging between the colours of silver, dark grey, and black. 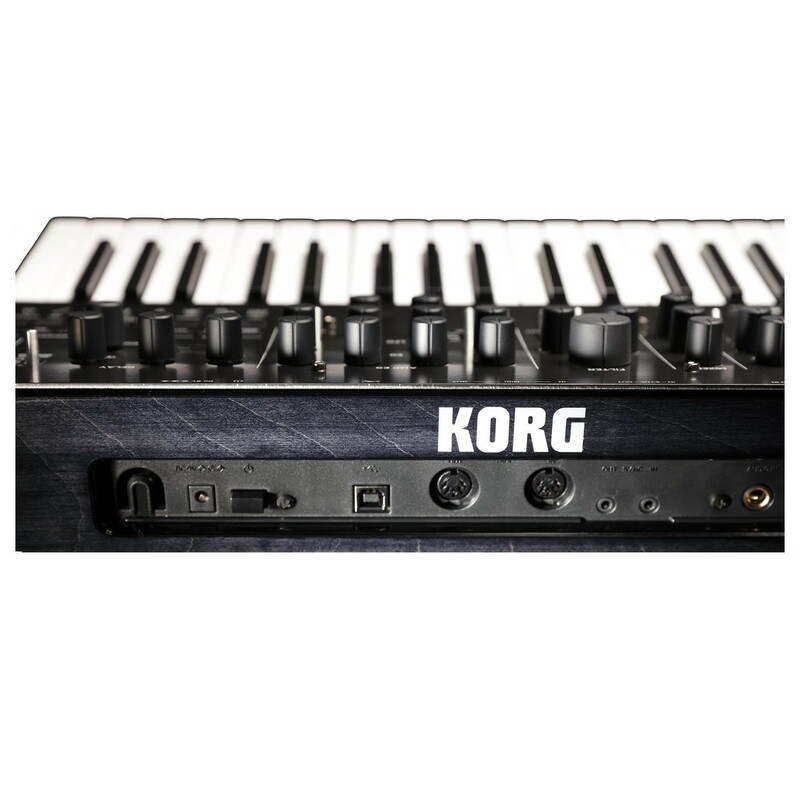 Combined with a see-through black finish on the wooden rear panel, the Korg Minilogue PG provides a striking, distinctive and cool appearance that is sure to turn heads. 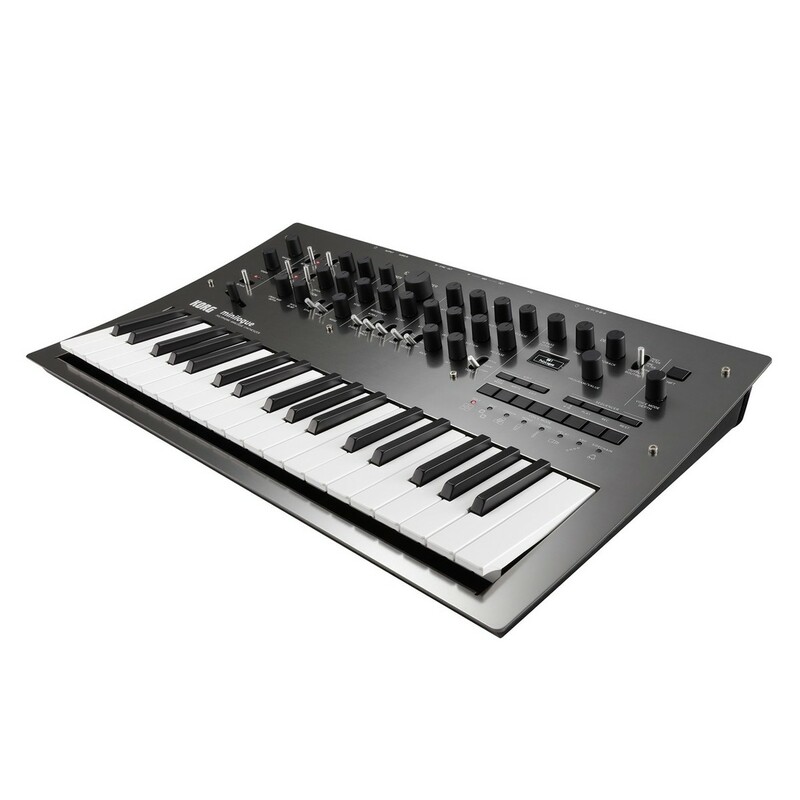 The limited edition Korg Minilogue PG is a flexible, fully programmable 4-voice analogue synthesizer that features 200 program memories, providing you with a wide range of sound design possibilities. 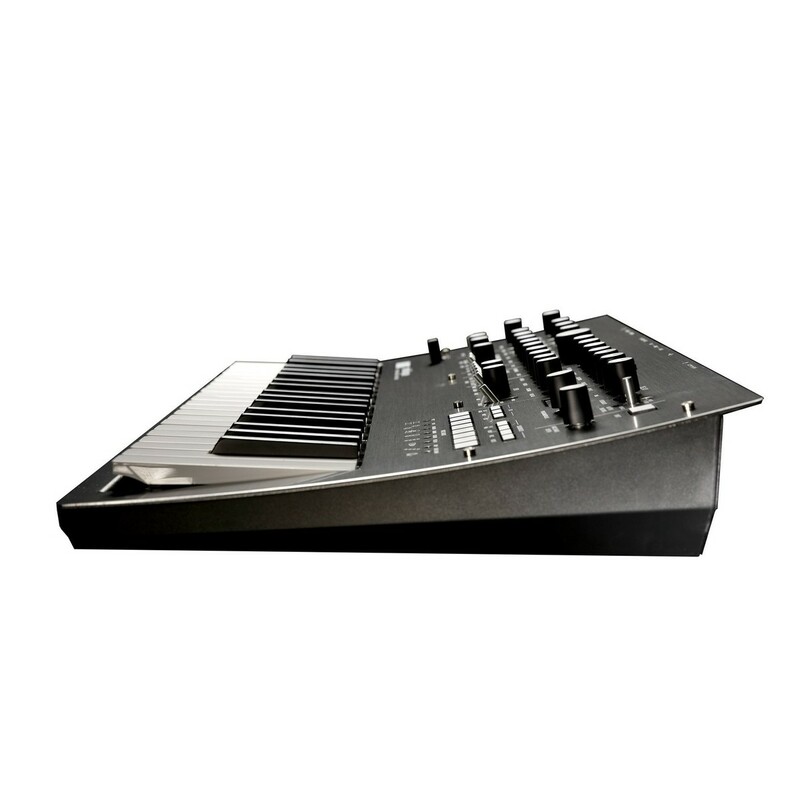 This limited edition version of the original Korg Minilogue features a cool and distinctive grey polish that shines and reflects in various lighting. The clean aesthetic is ideal for dark coloured setups, whilst adding a touch of professionalism to your studio. 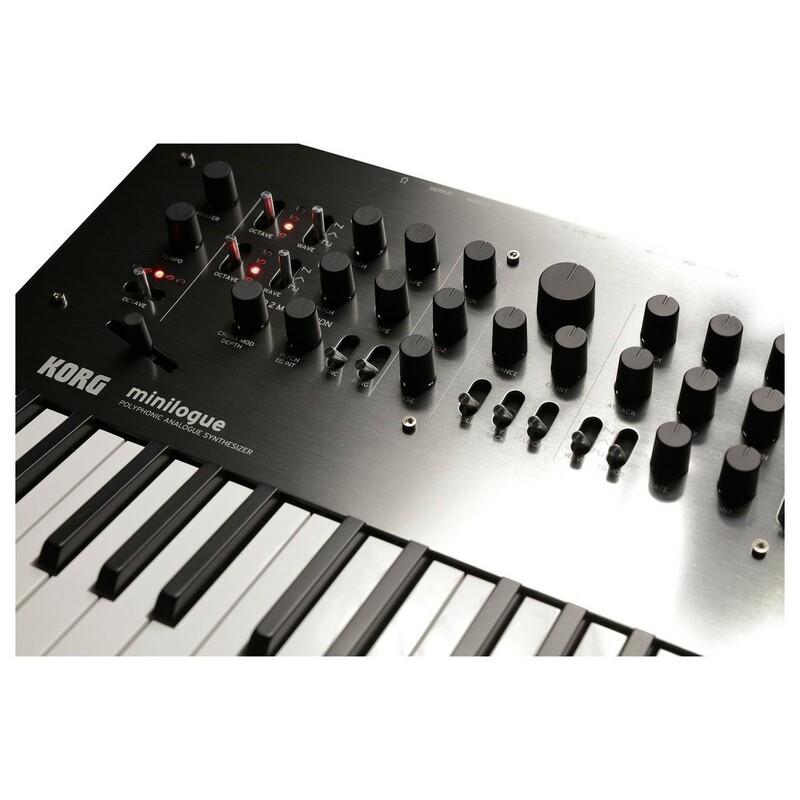 This unique Minilogue is a limited edition model, ideal for anyone looking to stand out. 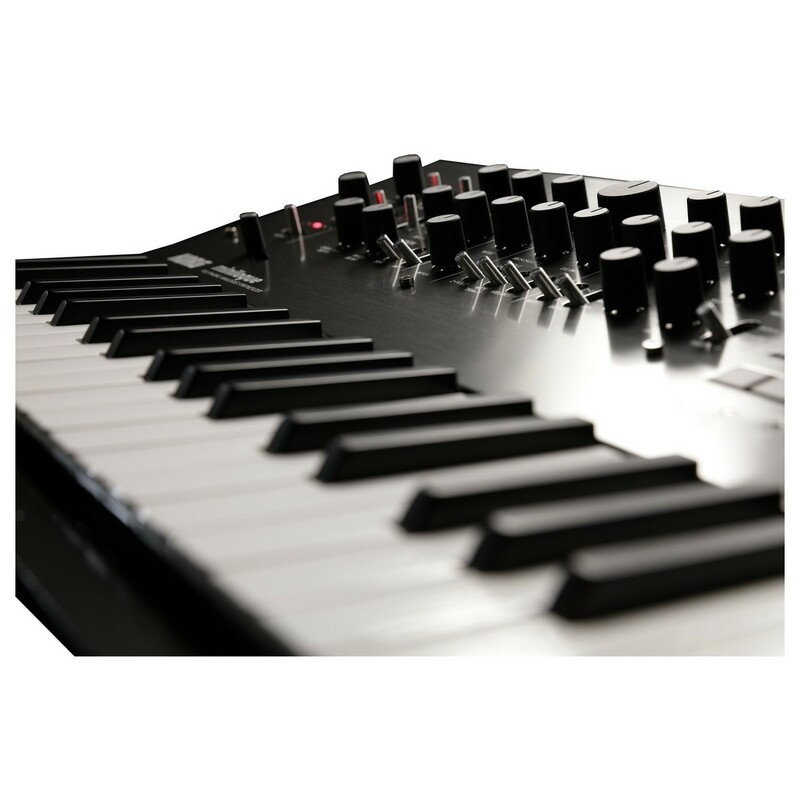 The Minilogue has been designed to offer a multitude of powerful functions and controls that let you create and manipulate sound. 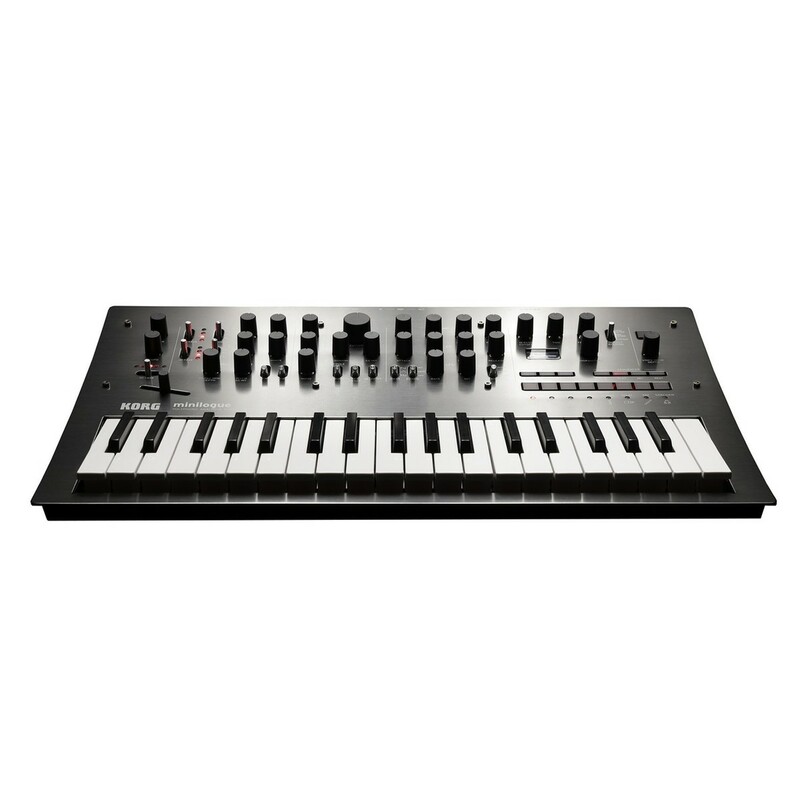 The synthesizer features four-voices, and is programmable with up to 200 program memories, with 100 preset sounds included. The selectable voice modes let you configure the four voices for added versatility. The voices can be set to four note polyphony for use when playing chords, or they can be layered for more complex sounds. Other modes feature a range of sounds from bass explosions to layered triggering. 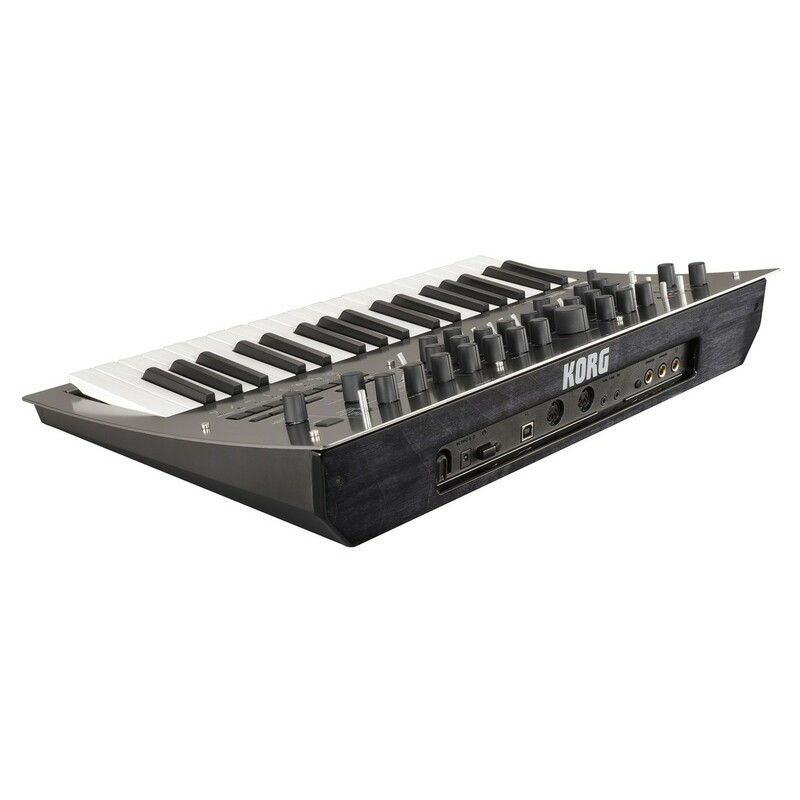 The built-in 16-step sequencer features motion sequence recording capabilities, which gives you a wide spectrum of possibilities when it comes to recording and arranging sounds. 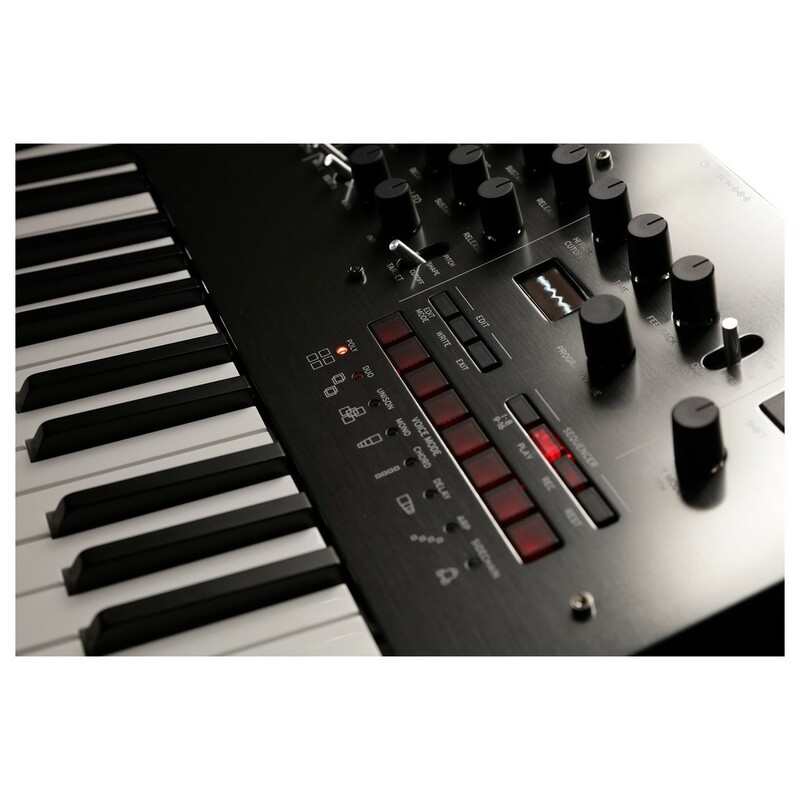 Providing real-time recording with overdubbing, the Minilogue lets you record and arrange with each, with step-recording letting you record by consecutively entering notes, allowing you to create complex rhythms and sequences on the fly. 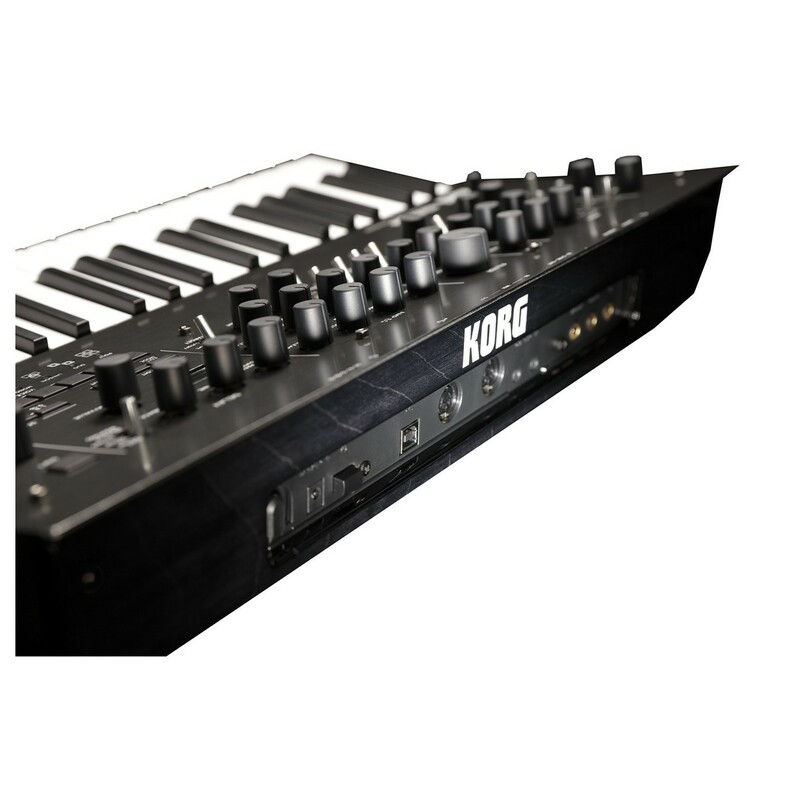 As well as creating your own sounds, Korg have included 200 presets ranging from thick, punchy basses to deep, atmospheric pads. You can also tweak these presets to articulate the sound you are trying to achieve. Additionally, there are 100 blank locations for saving presets of your own. This is a great tool as it lets you recall sounds and phrases you've created, which can be used in live environments and music production. 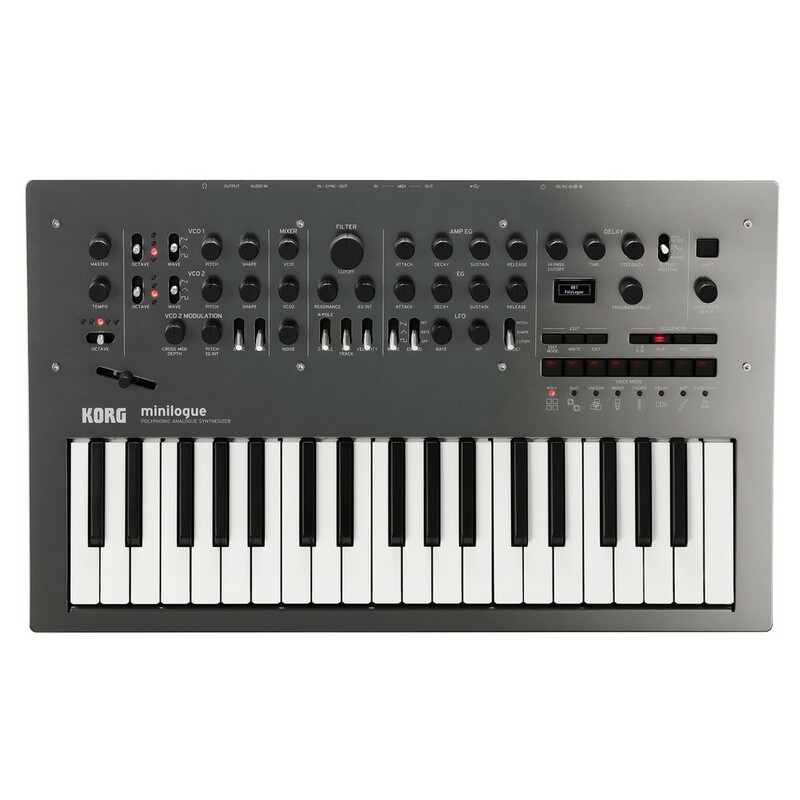 Expanding on the standard MIDI connectors, the Minilogue also features a sync connector that lets you connect to Korg's groove machines with ease. 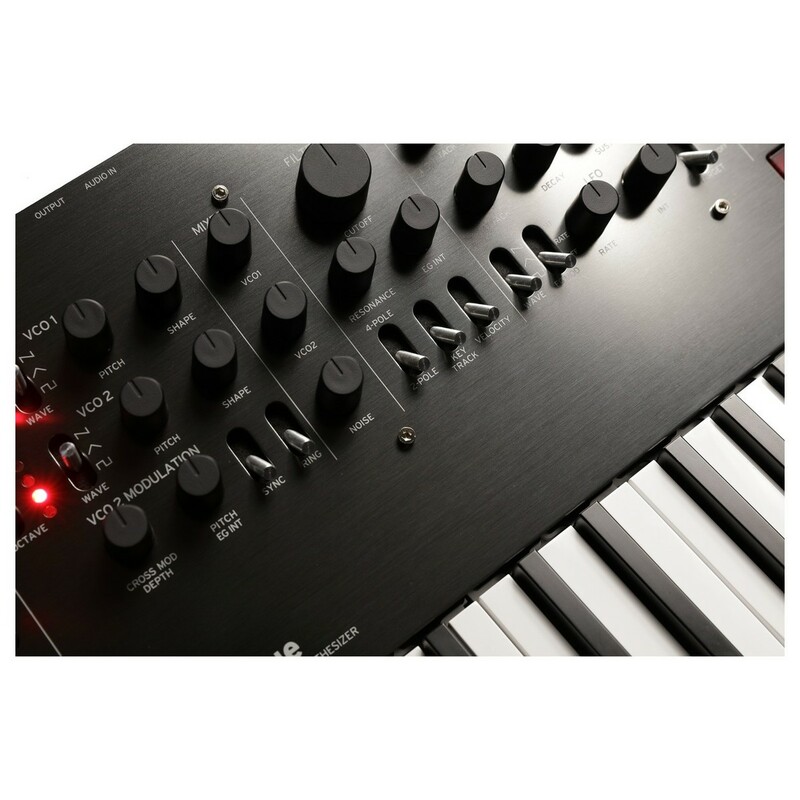 This opens up a whole world of possibilities when it comes to combining and crafting your sound, as you can connect this to other Korg products such as the Volca Series, Electribe, or the SQ-1 with expansive synchronised sequencer playback. The curved, sand-blasted 2mm aluminium front panel is durable as well as looking sleek and stylish. Also featured are metal shaft potentiometers, solid chassis mounted metal shaft potentiometers, and rubber-coated knobs, resulting in a sturdy, durable build that will easily withstand the rigor of transportation and live use.